Today begins the next step in my adventure. I sold as much as I could, packed up the truck and headed out. I had a lot of help from some wonderful people - my parents, my sister Aiperi and her husband Ulan, my best friend Alina, and two other close friends Anatolli and Dan. I couldn't have done it without them. Oh yes, and I want to thank Debbie and Mike Cerra as well who loaned me the truck so I didn't have to pay for a rental. Leaving New York where I've been for 13 years, and my photo studio for the last 4 years was bittersweet of course. Good night Brooklyn, Bonjou Ayiti! Read more about Good night Brooklyn, Bonjou Ayiti! Eske mwen ka fe foto ou? Proud faces of Haiti - my attempt to explain what I am doing, why I am going. Read more about Eske mwen ka fe foto ou? 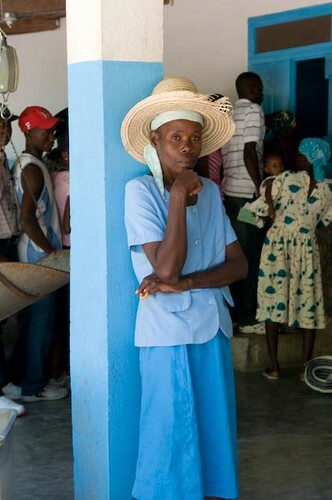 Proud faces of Haiti - my attempt to explain what I am doing, why I am going.